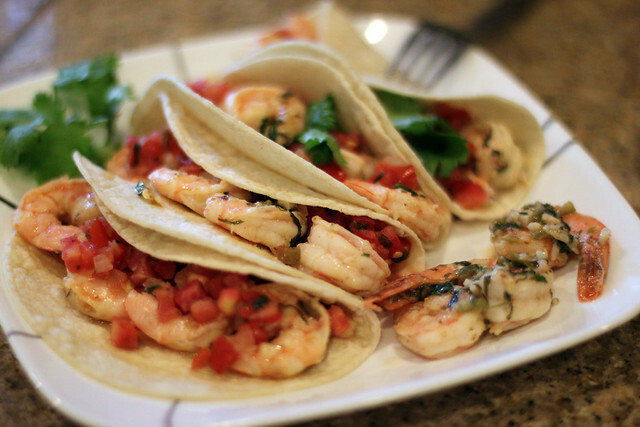 I’ve been into seafood tacos lately. 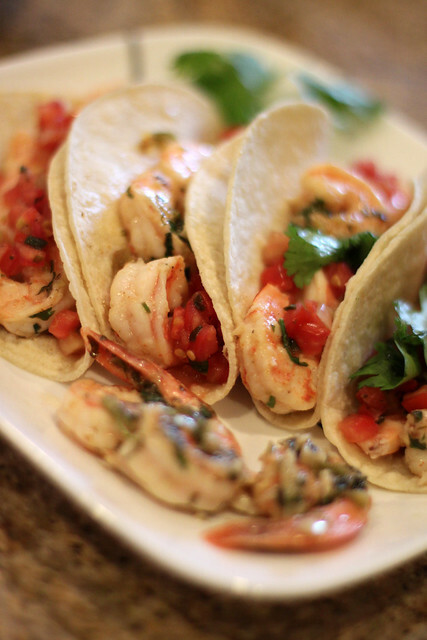 I tried fish and shrimp tacos at Dia de Pesca and loved how light, fresh and delicious the tacos tasted. I found this recipe in my ATK magazine I bought at Walmart. The best part about recipe it can be done pretty quickly and would be a fantastic weeknight dinner. Heat halved garlic cloves and oil in small saucepan over medium heat until mixture starts to boil. Reduce to low and cook for about 10-15 minutes until garlic softens to make garlic infused oil. Pat shrimp dry with paper towels and season with salt and pepper. Heat garlic oil in a skillet over medium heat. 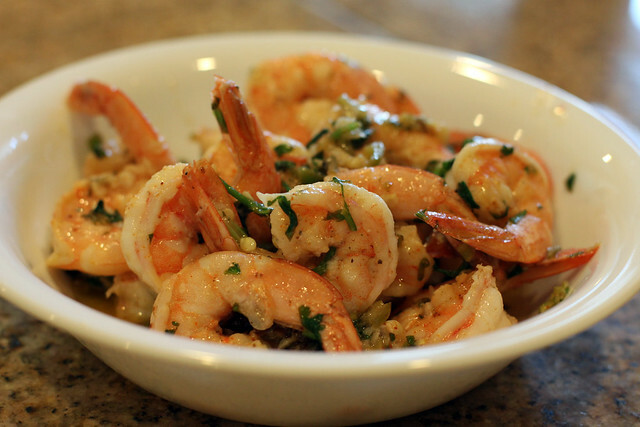 Cook shrimp, stirring occasionally for about 3 to 5 minutes until cooked. 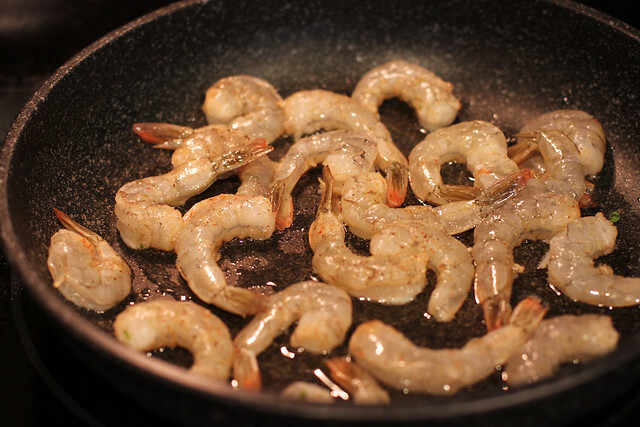 Transfer shrimp to a plate leaving liquid in skillet. Reduce heat to medium-low. Add lime juice and butter and whisk until smooth. 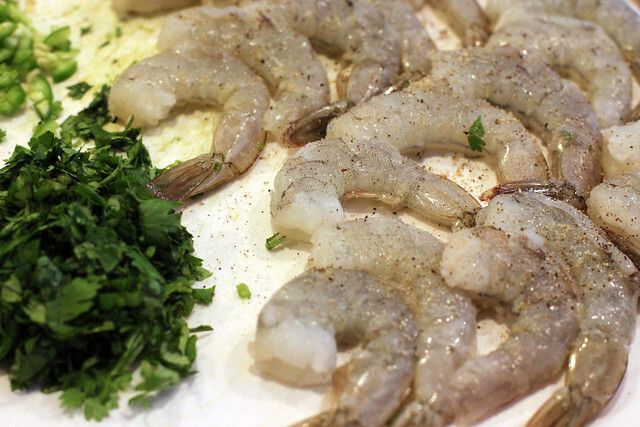 Add cooked shrimp, minced garlic, lime zest, jalapenos, and cilantro to pan toss and coat. Serve on hot corn tortillas and top with favorite taco toppings and condiments.